In his book, Scotland through her country dances, George Emmerson argues that the 1772 date of the dance and tune is well before the invention of any ‘horseless carriage’ and concludes that the dance title refers to a sedan chair. While the argument seems sound, it should also be noted that the first steam engines date from around 1700. There was a pretty large circle this evening. Dr. Johnson was in very good humour, lively, and ready to talk upon all subjects. Mr. Fergusson, the self-taught philosopher, told him of a new invented machine which went without horses: a man who sat in it turned a handle, which worked a spring that drove it forward. "Then, Sir, (said Johnson,) what is gained is, the man has his choice whether he will move himself alone, or himself and the machine too." Added on: April 11, 2019, 10:08 a.m.
Added on: Sept. 18, 2012, 12:34 p.m.
Added on: April 11, 2019, 10:04 a.m.
Bi-FZZ_2016-04-07 Verl Girl April 9, 2016, 10:50 p.m.
Oldenburg 2016-04-11 2016-04-11 David Quarrie May 4, 2016, 11:51 a.m.
20161217 - Chesterfield Christmas Dance 2016-12-17 Zsofia Jozsef Dec. 11, 2016, 1:15 p.m.
Dresden 19.9.2016 2016-09-19 Keith Paterson Sept. 18, 2016, 3:31 p.m.
16 10 16 Harrogate 2016-10-16 Chris Pratt Sept. 15, 2016, 6:02 p.m.
Chiswick ~ 161113 Social Dance 2016-11-13 James Wilson Nov. 13, 2016, 3 p.m.
Scottish Weekend 2016 Welcome Dance 2016-09-16 ellen ternes July 27, 2016, 11:04 p.m.
Costa Mesa Games Dance 2019 2019-05-25 Ward Fleri April 21, 2019, 12:37 a.m.
A Potential Friday Bruce Herbold Feb. 20, 2019, 7:35 p.m.
RSCDS St. Andrews 30th July 2013 2013-07-30 Truus de Ceuster July 21, 2013, 10:23 a.m.
Pathhead Charity SCD 2019-02-08 Jim Armstrong Feb. 2, 2019, 12:11 p.m.
2019-01-21 Nürnberg 2019-01-21 Jürgen Wagner Jan. 21, 2019, 11:04 p.m.
2019_03_24 BS&RC Tea Dance 2019 2019-03-24 Gerard Elliott Jan. 11, 2019, 3:03 p.m.
Rhein-Main-Mini-Social, 3. Juni 2014 (F) 2014-06-03 Anselm Lingnau May 4, 2014, 2:06 p.m. IT dance 2014-12-28 Raphaelle orgeret Nov. 19, 2014, 6:13 p.m.
Bristol 2019 Summer Dance 2019-05-18 Lynn Robinson Jan. 22, 2019, 7:18 p.m.
Home for the Holidays Ball 2018-12-21 Andy Peterson Dec. 22, 2018, 6:40 p.m.
Spring Ball 2014 - draft Nicola Scott Jan. 5, 2014, 11:59 a.m.
RSCDS Birmingham - Spring Ball 2014 Nicola Scott Jan. 5, 2014, 11:59 a.m.
190729 w3 Monday - Younger Hall 2019-07-29 Martina Mueller-Franz Jan. 21, 2019, 5:47 p.m.
190715 w1 Monday - Younger Hall 2019-07-15 Martina Mueller-Franz Jan. 21, 2019, 5:29 p.m.
HHK Basic 2018-12-11 2018-12-11 Marc Hartstein Jan. 24, 2019, 5:25 p.m.
2014 TAC AGM Ball Chris Ronald June 29, 2014, 2:35 p.m.
141114 Lyon 2014-11-14 Hervé Raymond Nov. 13, 2014, 5:08 p.m.
RSCDS BHS 2019-09-28 Autumn Social 2019-09-28 David McQuillan April 17, 2019, 12:53 a.m.
2018 Toronto Workshop 2018-11-10 Nameless Dancer Oct. 31, 2018, 9:05 p.m.
Abingdon 22 October 2018 2018-10-22 Sandra McLevy Oct. 23, 2018, 12:56 p.m.
Westchester Season Opener 2015-09-09 Deborah Leary Aug. 24, 2015, 8:13 p.m.
Headington 13 September 2018 2018-09-13 Sandra McLevy Oct. 6, 2018, 5:07 p.m.
Budapest Local Club 27.01.2015 2015-01-27 Zoltán Gräff Jan. 28, 2015, 11:36 a.m.
Oldenburg 2018-09-24 2018-09-24 Judith Kowalczik Sept. 23, 2018, 11:15 a.m.
Ottawa Ball v0.2 Craig Williams June 5, 2012, 5:25 p.m.
North German Social 2018-10-06 2018-09-20 David Quarrie Sept. 20, 2018, 11:43 a.m.
Budapest Local Club 24.02.2015 2015-02-24 Zoltán Gräff Feb. 25, 2015, 1:40 p.m.
HHK 2018.09.04 2018-09-04 Elizabeth Buonomo Sept. 1, 2018, 2:53 p.m.
Budapest Local Club 31.03.2015 2015-03-31 Zoltán Gräff March 31, 2015, 10:44 p.m.
Watford & West Herts Scottish Society Improvers' and Beginners' Class - 19 February 2018 2018-02-19 Stuart Kreloff Feb. 18, 2018, 8:56 p.m.
Budapest Local Club 15.02.2018 2018-02-15 Zoltán Gräff Feb. 15, 2018, 11:27 p.m.
Scotia Dancers 2018-02-12 2018-02-12 Marc Hartstein Feb. 12, 2018, 7:23 p.m.
YWW Ball 2018 2018-05-27 Kristi Closser Feb. 12, 2018, 5:13 a.m.
Ho-ho-kus Sept 9 2015-09-09 Elizabeth Buonomo Sept. 3, 2015, 9:06 p.m.
Surbiton ~ 151006 Dem Christ Church 2015-10-06 James Wilson Sept. 14, 2015, 12:06 a.m.
Cambridge Class Holiday Party 2016-12-19 2016-12-19 Charles Liu Nov. 17, 2016, 12:54 a.m.
Watford & West Herts Scottish Society Improvers' and Beginners' Class - 08 January 2018 2018-01-08 Stuart Kreloff Jan. 6, 2018, 10:43 p.m.
Abingdon 14 May 2018 2018-05-14 Sandra McLevy May 14, 2018, 7:19 p.m.
Oldenburg 2017-10-18 (Munderloh) 2017-10-18 David Quarrie Oct. 19, 2017, 10:11 a.m.
Alpine Boat Basin 2018 2018-09-16 Marc Hartstein July 1, 2018, 10:42 p.m.
2019 Asilomar Weekend - Friday Welcome Social Dance 2019-11-01 Asilomar Weekend April 1, 2019, 5:28 a.m.
Class 9-5-17 2017-09-05 Sarah Harriman Sept. 6, 2017, 3:36 p.m.
Saturday 12-12-2015 DelVal 2015-12-12 Terry Harvey Dec. 12, 2015, 4:32 p.m.
17-11-20 St Columba's Dancers Sarah B. Aug. 20, 2017, 2:05 p.m.
Oldenburg 2017-07-19 2017-07-19 David Quarrie July 25, 2017, 1:46 p.m.
Lafayette Tween Party 2015-12-26 Ute Hoppmann-Lacour Dec. 19, 2015, 4:52 p.m.
Berkhamsted Strathspey & Reel Club - Vintage Dance 2017-11-18 Jane Rose July 20, 2017, 9:34 p.m.
Kingston May Social 2017-05-06 Alexander Jeffries April 11, 2017, 10:30 p.m.
RSCDS Wirral Tuesday Programme 2 February 2016 2016-02-02 Andrew Locke Feb. 1, 2016, 11:23 p.m.
Peterborough & District RSCDS Afternoon Tea Dance 2016-04-08 2016-04-08 Sheila Lewins Feb. 9, 2016, 8:31 a.m.
Munich St. Andrew's 2012 Rita Reil Nov. 16, 2012, 2:03 p.m.
SQP_SeneWeekEnd_20170318 2017-03-03 Roland Telle March 3, 2017, 4:15 p.m.
RSCDS SF Party - March 2016 2016-03-05 Rachel Pusey Feb. 26, 2016, 3:47 a.m.
Oldenburg 2016-02-29 2016-02-29 Judith Kowalczik Oct. 9, 2016, 10:27 a.m.
Tac 2016 Summer school monday social 2016-08-01 Barbara Johnston March 10, 2016, 11:47 p.m.
Japan 14 april 2016 2016-04-14 Nameless Dancer March 22, 2016, 10:40 p.m.
Duddingston 14 March 2019 2019-03-15 John Watkins March 8, 2019, 5:30 p.m.
RSCDS Cheshire - Social Dancing 1st June 2016 2016-06-01 Christine Grove April 7, 2016, 8:32 p.m.
Westchester Burns Night Jan. 21st 2015 Sue Ronald Jan. 18, 2015, 10:05 p.m.
Budapest Local Club 15.10.2015 2015-10-15 Zoltán Gräff Oct. 15, 2015, 10:29 p.m.
Oldenburg Potters Pairs Welcome dance 2016 2016-04-22 Martin McWilliam Jan. 15, 2016, 7:42 p.m.
RSCDS Wirral Visitors Night 2016 2016-02-16 Andrew Locke Feb. 9, 2016, 11:50 p.m.
hohokus experienced 5 April 2016-04-05 Deborah Leary April 3, 2016, 6:59 p.m.
Dresden 23.4.2018 2018-04-23 Keith Paterson April 21, 2018, 9:10 p.m.
Mèaudre Saturday 2016-05-28 Petula Allen May 23, 2016, 10:43 a.m.
Ho-Ho-Kus SCD beginners class Feb 7th 2016 Sue Ronald Feb. 7, 2017, 8:17 p.m.
New Haven - Tuesday - 7 March 2017 2017-03-07 Peter Price March 6, 2017, 4:28 p.m.
Wimbledon 2017_10_24 Sarah B. Sept. 11, 2017, 1:11 p.m.
SWC demo 24 Jan 2018 2018-01-24 Deborah Leary Jan. 2, 2018, 6:07 p.m.
Wimbledon ~ 181106 Dance 2018-11-06 James Wilson Nov. 6, 2018, 10:58 a.m.
HHK Party Dec 18 2018-12-18 Ken Saunders Dec. 14, 2018, 8:05 p.m.
Scotia Beginners Class 1-7-19 Nameless Dancer Jan. 8, 2019, 6:28 a.m.
Beginner list Scotia Dancers 2-25 Nameless Dancer Feb. 22, 2019, 5:38 p.m.
Beginners list Scotia Dancers February 18th Nameless Dancer Feb. 23, 2019, 1:07 a.m.
Vienna Branch Social Evening, Saturday 13.4.2019 2019-04-13 Felix Hamelbeck April 7, 2019, 5:51 p.m.
NY Branch Basic 23 February 2017-02-23 Deborah Leary Feb. 22, 2017, 5:52 p.m.
JaveaSCD-2015-03-18 2015-03-18 Roy Birkinshaw March 16, 2015, 1:34 p.m.
20170211 Newcastle Festival - Interval dances 2017-02-11 Narhalla Dancers Feb. 8, 2017, 4:46 p.m.
Wimbledon ~ 170418 Social Dancing 2017-04-18 James Wilson April 18, 2017, 4:28 p.m.
170203 Lyon minibal Hervé Raymond Jan. 27, 2017, 2:41 p.m.
Duddingston 23 March 2017 2017-03-23 John Watkins March 19, 2017, 8:49 a.m.
Munich Whitsun 2018 - Saturday 2018-05-19 Alex Brick March 31, 2018, 8:52 a.m.
NYC 2017-09-14 (Basic) 2017-09-14 Marc Hartstein Dec. 5, 2018, 10:15 p.m.
190803 w3 Saturday - Younger Hall 2019-08-03 Martina Mueller-Franz Jan. 21, 2019, 1:37 p.m.
190720 w1 Saturday - Younger Hall 2019-07-20 Martina Mueller-Franz Jan. 21, 2019, 1:18 p.m.
Surbiton ~ 151219 Dem Our Lady Immaculate 2015-12-19 James Wilson Dec. 13, 2015, 12:02 a.m.
Bonn 2016-11-28_Ceilidh 2016-11-28 Eva-Maria Beckmann Nov. 23, 2016, 9:37 p.m.
Ottawa Branch Extra Social Craig Williams Jan. 7, 2013, 3:53 p.m.
20190319 - Bo'ness Class 2019-03-19 Zsofia Jozsef March 19, 2019, 11:30 p.m.
Budapest Local Club 24.03.2015 2015-03-24 Zoltán Gräff March 30, 2015, 9:51 p.m.
RSCDS ST. Catherines Spring Ball 2016 2016-05-07 Jamie McDougall April 20, 2016, 3:04 a.m.
Wimbledon ~ 180719 Dance 2018-07-19 James Wilson July 19, 2018, 6:57 a.m.
Alva Summer Dance; David Oswald 2018-06-14 Mary Cant June 10, 2018, 1:07 p.m.
NY branch Summer 5 July 2018-07-05 Deborah Leary July 2, 2018, 11:38 p.m.
Wimbledon 2017_9_26 Sarah B. Sept. 11, 2017, 12:59 p.m.
Budapest Local Club 27.11.2018 2018-11-27 lldikó Szakolczai Nov. 28, 2018, 8:56 a.m.
Wimbledon ~ 151006 Dance 2015-10-06 James Wilson Sept. 30, 2015, 11:49 p.m.
Oldenburg 2016-02-01 2016-02-01 Martin McWilliam Feb. 2, 2016, 11:48 a.m.
FSCDC 27 May 2014 2014-05-27 Anselm Lingnau May 29, 2014, 3:15 p.m.
Atholl SCDC Week 24 Brian`s Programme 12/03/19 Website:- www.athollscdc.co.uk 2019-03-12 Brian Martin Feb. 17, 2019, 12:52 p.m.
Adel Tea Dance 15 December 2014 2014-12-15 Irene Dracup Oct. 31, 2014, 10 a.m.
scotia 14 September 2015 2015-09-14 Deborah Leary Sept. 12, 2015, 6:22 p.m.
HHK 7 February 2017-02-07 Deborah Leary Feb. 4, 2017, 6:12 p.m.
New York Branch Feb 23 2017 2017-02-23 Peter Price Feb. 21, 2017, 2:41 p.m.
GASP - April 11, 2014 2014-04-11 John Bottriell Feb. 1, 2019, 4:27 p.m.
HHK Nov 27 2018 2018-11-27 Ken Saunders Nov. 25, 2018, 7:51 p.m.
Ottawa Summer Dancing May 15th, 2018 Jody Kulas May 4, 2018, 6:44 p.m.
Budapest Local Club 10.03.2015 2015-03-10 Zoltán Gräff March 20, 2015, 9:44 a.m.
Tenafly 28 April 2015 2015-04-28 Deborah Leary April 25, 2015, 10:37 p.m.
Chiswick ~ 160214 Social Dance 2016-02-14 James Wilson Feb. 14, 2016, 2:19 p.m.
Trinity SCD Club Edinburgh 2016/11/05 Lindsay Weir 2016-11-05 Daniel Hintermann Oct. 26, 2016, 2:35 p.m. 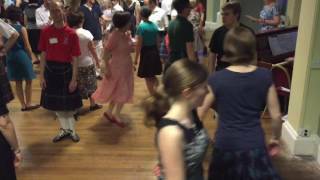 Youth Branch weekend in Paris - Evening Dance 2016-09-10 Mathias Ferber July 4, 2016, 8:43 p.m.
160910 Youth Br. WE Away in Paris 2016-09-10 Martina Mueller-Franz July 26, 2016, 3:27 p.m.
HHK 7 March 2017-03-07 Deborah Leary March 4, 2017, 4:18 a.m.
Trinity SCDC Edinburgh 2017/12/02 2017-12-02 Daniel Hintermann Nov. 27, 2017, 6:19 p.m.
San Francisco 1974 Valentine Ball 1974-02-09 Andy Peterson Feb. 4, 2019, 2:33 a.m.
RSCDS Wirral - Tuesday 19 June 2018 2018-06-19 Andrew Locke June 18, 2018, 12:12 a.m.
Reading 2012-10-13 October Dance 2012-10-13 David McQuillan Oct. 3, 2012, 2:49 p.m.
Budapest Dance House for beginners 2016.02.06 2016-02-06 Zoltán Gräff Feb. 7, 2016, 7:49 p.m.
Gardens 2017-06-19 John McLean June 19, 2017, 11:17 a.m.
Budapest Dance House for beginners 2018.03.03 2018-03-03 Zoltán Gräff March 4, 2018, 12:32 p.m.
Budapest Dance House for beginners 2014.11.08 2014-11-08 Zoltán Gräff Nov. 10, 2014, 11:10 p.m.
FSCDC 29 May 2012 2012-05-29 Anselm Lingnau May 29, 2012, 4:47 p.m.
RSCDS Edinburgh Spring Party #DancePassion 2019 2019-04-02 RSCDS Edinburgh Feb. 20, 2019, 8:21 p.m.
RSCDS London Autumn Wednesday Dance 24 October 2018 2018-10-24 Meryl Thomson June 6, 2018, 6:25 p.m.
Budapest Dance House for beginners 2015.04.11 2015-04-11 Zoltán Gräff May 6, 2015, 5:29 p.m.
Budapest Dance house for beginners 2017.03.04 2017-03-04 Zoltán Gräff March 5, 2017, 11:09 a.m.
Budapest Dance House for beginners 2013.11.09 2013-11-09 Zoltán Gräff Nov. 10, 2013, 10:54 a.m.
Bal 12 Novembre Raphaelle orgeret Sept. 28, 2016, 6:07 p.m.
20190105 - Trinity Annual Ball 2019-01-05 Zsofia Jozsef Nov. 2, 2018, 6:44 p.m.
4. SCD Weekend Chemnitz: Welcome Dance 7.11.2014 2014-11-07 Thomas Groß Nov. 5, 2014, 10:10 a.m.
NY Branch 14 Sept 2017 2017-09-14 Deborah Leary Sept. 13, 2017, 10:46 p.m.
Westchester - March 1, 2017 2017-03-01 Peter Price Feb. 28, 2017, 2:44 p.m.
SCD Weekend Chemnitz - Welcome Dance Thomas Groß Nov. 15, 2013, 2:17 p.m.
St. Andrew's day in St. Petersburg 2017-12-03 Ekaterina Iarmarkina Nov. 18, 2017, 6:14 p.m.
hohokus 3 May 2016-05-03 Deborah Leary May 1, 2016, 5:25 p.m.
2018-01-08 St Columba's Dancers Sarah B. Dec. 27, 2017, 4:52 p.m.
RSCDS Portland (OR) 39th Annual Ball 2018-03-10 Rachel Pusey Dec. 25, 2017, 10:37 p.m.
171106 Nürnberg 2017-11-06 Annette Lotz Nov. 7, 2017, 8:41 p.m.
St.Columba's Pont Street, 15/04/2019 2019-04-15 alan poh April 15, 2019, 3:30 p.m.
ZA 2015-11-28 RSCDS Pretoria Christmas Social 2015-11-28 Heather Hodgson Nov. 25, 2015, 11:50 a.m.
St Columba's Dancers 08-05-17 Sarah B. 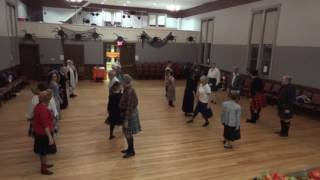 May 6, 2017, 1:07 p.m.
RSCDS New York Branch Classes 1/26/2017 2017-01-26 Ellen Sears Jan. 26, 2017, 3:20 a.m.
St Columba's Dancers 13-02-17 Sarah B. Jan. 18, 2017, 9:04 p.m.
THISTLE CLUB DANCE (Leeds) - 1 March 2014 2001-03-01 Christine Parker-Jones Sept. 5, 2015, 7:16 a.m.
St.Columbas |Pont Street Monday evening 13/02/2017 2017-02-13 alan poh Feb. 13, 2017, 3:44 p.m.
Newcastle Evening 2014 Narhalla Dancers Feb. 3, 2014, 9:04 a.m.
Aurora Ball 2018 2018-06-02 Mary Cant May 31, 2018, 7:11 p.m.